The Walt Disney Travel Company has a great deal for a 2019 trip to the Walt Disney World Resort in Orlando, Florida. You can get a discounted price for Disney World tickets & two free nights at Disney’s on-site hotel Saratoga Springs Resort & Spa. Saratoga Springs is a great Disney hotel; I go into reasons why you should stay at Saratoga Springs here. This package is for trips to Disney World where you arrive between 15 July 2019 & 4 September 2019. Please note that this offer is only available to residents of the UK and Ireland. 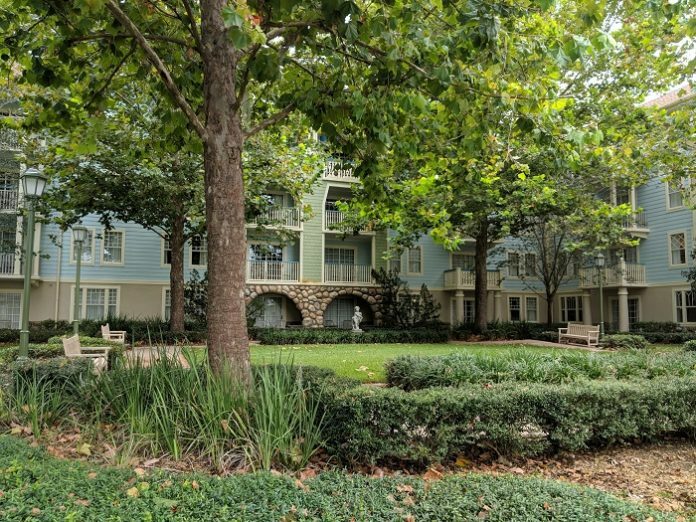 If you live elsewhere and want a good deal on Saratoga Springs, then I suggest booking through David’s Vacation Club here; you can get incredibly great rates this way. We go into detail on how to get a cheap stay through David’s Vacation Club Rentals here. You’ll also be able to enjoy miniature golf and Disney’s Oak Trail Golf Course on your holiday as well. But in order to take advantage of this deal you will need to book by 1 April 2019, so book now while the offer is still available – and if you have specific dates in mind you want, then book quickly while there is still availability!